rawax prouldly welcomes siamak amidi to the family! 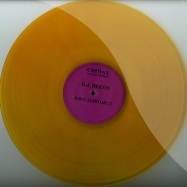 we re more than happy about his very fresh and spacy trippin -craft 07- release for our ctx series on chiwax. more to come! 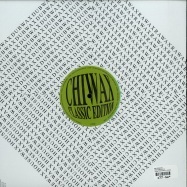 hiwax presents samann -sensation - the remixes-. 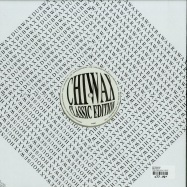 the 2012 hit (taken from chiwax003) in the rebound with fresh mixes by samann himself, chicago legend virgo four, uttu - boss dj haus and christian lisco! very strong package with four great interpretations. dubbed by igloo magazine as the -romanian detroit electro/techno pioneer- and by the late aaron carl as -the romanian underground resistance himself-, andrew red hand from romania s spiritual capital of lasi stands up as an unwavering militant of the underground, a true detroit spirit possessed as romanian humanoid! 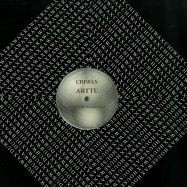 from his early gigs throwing parties as one of the first generation djs in lasi since 1997, arh continues to break boundaries as part of the romanian resistance scene and numerous time portals as they open around europe. his blistering, mind-bending sets such as at berlin s tresor and griessmuehle see the dj with the red hand fuse pure detroit electro and techno with the sounds of techno-bass, raw chicago acid house, classics and futuristic beats. 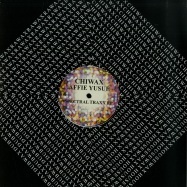 his mixes for radio ur (underground resistance) and the grid (detroit techno militia) remain some of the best frequency transmissions to surface to air. 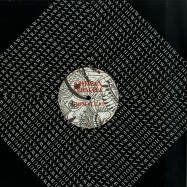 armed with a soviet union reel to reel majak 203, his scorching raw analogue and searing acid productions have been picked up by foundational detroit labels such as twilight 76, matrix, detroit underground, databass, detroit techno militia, cratesavers intl, visillusion as well as around the world from holland s iconic m>o>s recordings to 1Ø pills mate (lobster theremin), bass agenda and land of dance. on his remix list includes work for scan 7, santonio echois, thomas barnett, sean deason, niko marks, six foe, t.linder and more while support from anthony shake shakir, dj bone, dave clarke, dj godfather has been garnered for our sonic warrior... beware of the red hand! big support by ricardo villalobos ... the noise invaders landed! 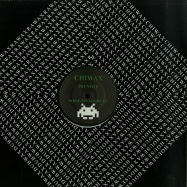 psynote returns on chiwax #27 with another remarkeble release! 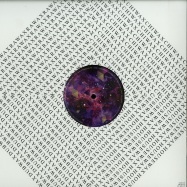 3 years after -walking down the noise ep- franco cinelli is sending us this space monster record! 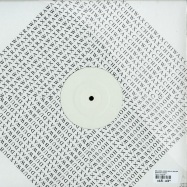 part of the current crop of artists spearheading the uk acid revival, posthuman s output has evolved over the years, encompassing many genres & styles from their early electronica releases, to their later acid & slow-mo techno. 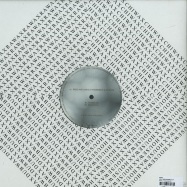 their debut release in 2000 was a series of hand made cds simply called -posthuman- (though better known by the colour of the card inserts grey, black, blue and brown). 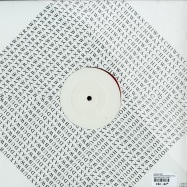 the duo then went on to host a number of parties in an abandoned underground train station in london between 2001 and 2004, and founded their own label seed records (2) with which they released 3 albums and several other releases of their own and other artists material. 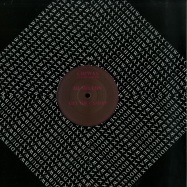 they also were the first act on manchester based imprint skam s smak sublabel. 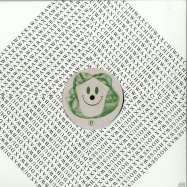 doherty left seed records to help relaunch uk techno imprint b12 records in 2006, and started a new label balkan vinyl in 2010. in 2007, doherty founded london-based acid house retrospective clubnight i love acid- where posthuman are monthly resident djs. 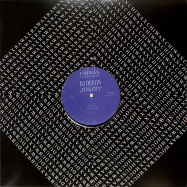 in 2014 the clubnight launched a vinyl-only label of the same name. he also performs as agt rave cru and as one half of altern 8 live shows since 2015.
chiwax presents the dj skull saga volume 3! 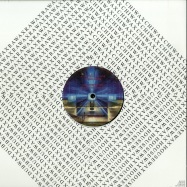 the chicago funk master delivers once again high quality house music with this remarkeble and unique dj skull - signature. 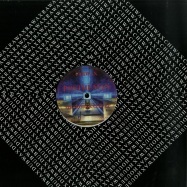 timeless future classic! rawax welcomes two talented russian artists to the family. pasha mikheev aka kolomna experiments & alexey krjuk aka bogdan. we re sure this is just the beginning of a long musical journey between them and us! 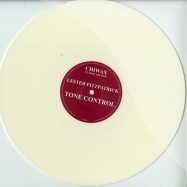 vinyl only - chiwax welcomes daniela la luz! we ve had already the honour to present this outstanding lady on rawax & housewax. 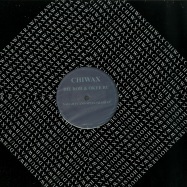 now it s time for some acid house on chiwax. 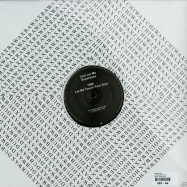 come into my land is a very promising ep including 4 club tracks with the remarkeble touch of daniela. rawax proudly welcomes the legend adonis the the family! 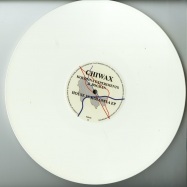 we re very honoured to present you on the 30th edition of our chiwax classic series the man who produced 1986 his fist of many house anthems, -no way back-! 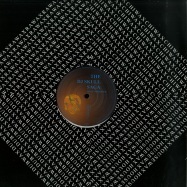 now in the rebound: the 1989 originally on jack trax released -do you wanna jack/ lost in the sound-. as bonus track adonis gave us -my space-. 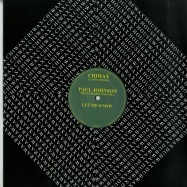 another outstanding track, he did with virgo aka marshall jefferson! 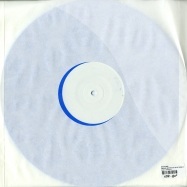 this release is quite unique in this combination - so don t sleep on it! 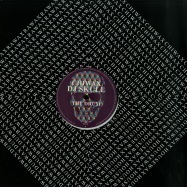 we ll have it on black solid vinyl and also on purple vinyl - it s up to you! 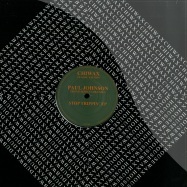 paul johnson retruns on his own chiwax series! volume 6 is no other than the classic from 1994, called -let me know-. 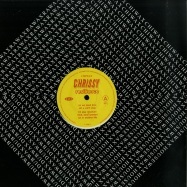 originally released on cajual records. 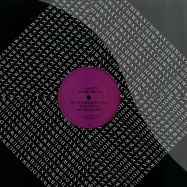 now this beauty is back & remastered on black solid vinyl - worth to check! ron maney aka dj skull presents some new tracks on the second part of his own series called -the dj skull saga-. 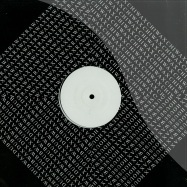 dj/producer from merseyside uk, john heckle has produced records for mathematics recordings, tabernacle records, crème organization, lunar disko and more. 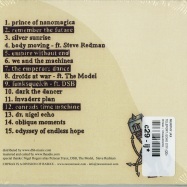 his releases include two full length studio albums, the second son and desolate figures (as well as the last magic maker mini-album), plus multiple singles, remixes and eps. 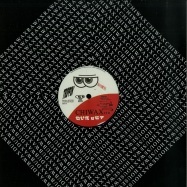 life on titan, his debut for mathematics, picked up a qwartz electronic music award. new release from chicago legend, mr. robert armani called * fourty nine ep* on chiwax! rawax proudly welcomes alexander dorn aka credit 00 to the rawax family! back in the days at the west-saxon highlands there was a missile, which marked the starting point. 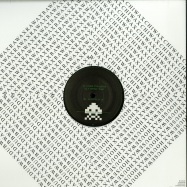 when credit 00 saw the legendary rocket rise on tetris’ final screen, it was the first time he became aware of electronic music at all. since then it actually hasn’t changed that much. he keeps pushing that buttons that belong to the impressive pool of music machines towered up next to his bed. after moving to dresden in 2000 to study fine arts, his passion for synthesizers and drum machines got nurtured through visits of dresden’s club-canalisation. he quickly made himself a name as a dj, who is just doing his own thing and got popular for that reason. as a part of the idealfun-crew he started hosting parties always in the twilight zone between legal and illegal. 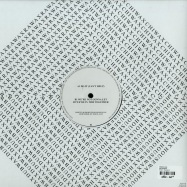 this led to “robo dance”, dresden’s only and (also for some other reasons) best electro club night featuring guests like dmx krew, luke eargoogle or imatran voima. 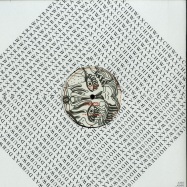 the track credit made with randy barracuda of imatran voima has probably been created some time after the show. apparently, randy was not in good shape anymore and so “lebensraum” unmistakably bears credit’s hallmarks. 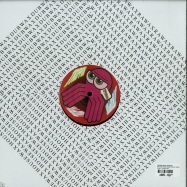 for his own music he’s inspired by cannibal movies, number theory and birds. still, his music is not easy to pigeonhole. 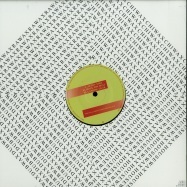 after all, he loves synth wave, electro, afro, kraut, kosmische, disco, italo, miami bass and other proto stuff – a lot of machine music. trippin aka dj octopus on the vinyl only edition of chiwax! 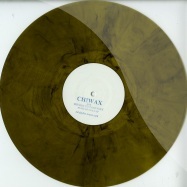 after some great collaborations with steve murphy it s now time for marco zanin aka dj octopus to present his own release on chiwax! 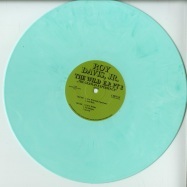 chiwax proudly presents another outstanding release from mr. ron maney aka dj skull! 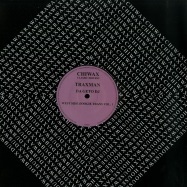 rawax is very honoured to welcome a true house legend to the family. 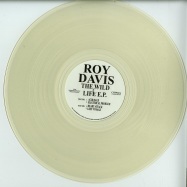 mr. roy davis jr joined forces with us to present some of his greatest releases re-mastered & back on vinyl! 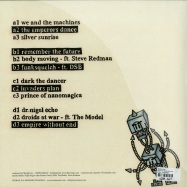 we are starting with * the wild life e.p. * from 1994.
rawax is proud to present ron maney aka dj skull on his own chiwax series called the dj skull saga. 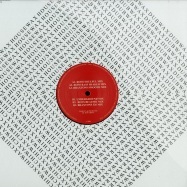 this platform will present ron s classic releases from the past and his present works. 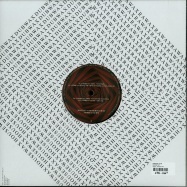 we re starting the series with the 1993 classic -stomping grounds- which came originaly out on the dutch djax up label. all tracks are remastered! melvin meeks from chicago is the new member of the rawax family! 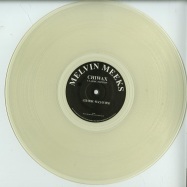 we are happy to present you melvins former relief release from 1995.
steve murphy returns with the outstanding superdry ep on chiwax! ghetto house at its best! 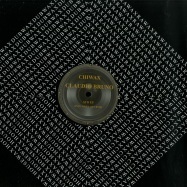 vinyl only, rawax welcomes claudio bruno to the family. we re happy to welcome this london based producer who has a big potential. for his debut on chiwax claudio will be supported with an remix by chicago legend and chiwax man from the very first hour, mr. andrew t. cole aka drew sky! 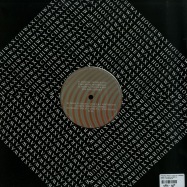 great deephouse 3 track vinyl. 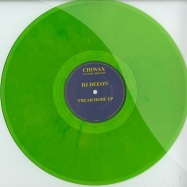 rawax is very proud to present the 4th release from the * paul johnson traxx series* on chiwax! 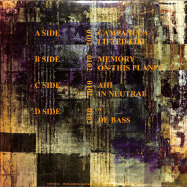 we are celebrating the 20th anniversary of pauls legendary album * the other side of me*! chiwax proudly presents dj skull and his new release * the drum*. 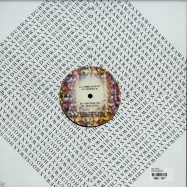 ron maney shows again his brilliant definition of techno & house. parris mitchell returns on chiwax classic edition part 23. his former release on dance mania #66 from 1994 comes remastered to hit the dance floors again. 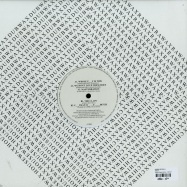 in the beginning of 1991 marius kuilenberg and maarten van der vleuten teamed up together and recorded two eeps for djax, *magic moments* and *...gives you central house*. marius being a dj with a great feeling for production and with a large collection of samples and maarten being a musician/technician with an own studio, turned out to be a good combination. 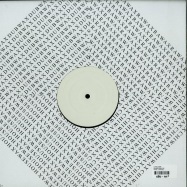 after the two releases mentioned above, marius and maarten split up. marius focused on dj-ing only and maarten continued working as major malfunction on his own. orange coloured vinyl only release. 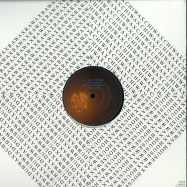 2nd release for kovyazin d on chiwax. we are more then happy about this great 4 trackes full of acid, jack & groove! pressing on transparent blue vinyl. rawax proudly welcomes arttu to the artist family! 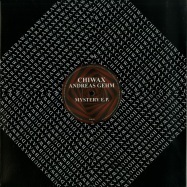 his debut on chiwax could be not bigger - high time wobbles! 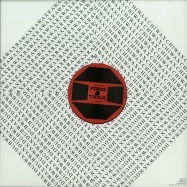 TRAXX SERIES VOLUME 2 - THE MUSIC IN ME E.P. 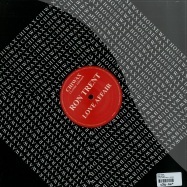 chiwax proudly welcomes mr. ron trent to the family! 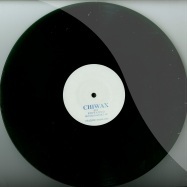 we are proud to present you this masterpiece of music - originally released on clubhouse records in 1992.
nick anthony simoncino aka ken kojima returns on chiwax with obscure business vol. 2! we are happy to have him back! 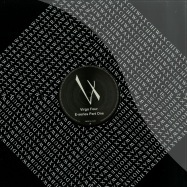 virgo four deliver a deep 4-tracker with a touch of acid for the chiwax series. 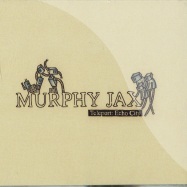 murphy jax delivers a fresh full length lp entitled *teleport: echo city* via the frankfurt based chiwax imprint. 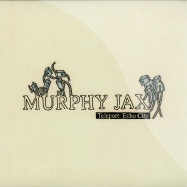 murphy jax, over the past few years, has been steadily building up a back catalogue of solid electronic workouts. 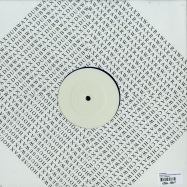 delivering content for the likes of clones jack for daze series, hypercolour, exploited and turbo,jaxs style meanders through a variety of styles, ranging from low-slung, chuggy grooves through to straight up chicago inspired house rhythms, always keeping the production intriguing and melodic. 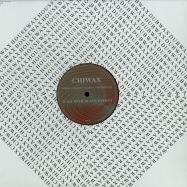 here murphy joins the chiwax roster (a sub-label of rawax, also running the dubwax and housewax labels), alongside heavy hitters like gemini and perseus traxx. 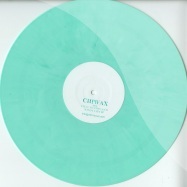 chiwax keeps it jackin with this limited 4-tracker by zagittarius on mint-green coloured and marbled vinyl. 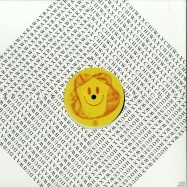 two rare >> dance mania<< classics tunes in one !!! 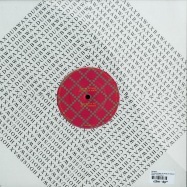 with releases under a range of pseudonyms (orpheus, sir leon greg, nite vision) and support for his previous explorations of depth coming from the likes of john heckle, dj deep, aroy dee, chicago skyway and steffi to name but a few, once again perseus traxx unashamedly shows his nature on this release. thoughts, feelings and emotions are by far the most important influences on music, and capturing moments then translating into a musical form he once again documents the more personal elements of his life, taking you deep. 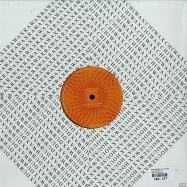 perseus weaves a rich tapestry of emotions and desires using heavily weighted bass tones and skipping percussion that thread together with expansive strings and pads. these are married with more detailed melodies and modulated tones that shimmer in and out of the psyche as he uses analogue boxes and their warmth like a loom. 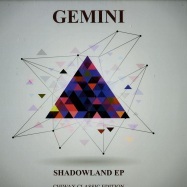 this collection of music ranges from the deep and dreamy, to total transcendence within steady dance floor rhythms clothed in a warm yet spacious fabric of sound. 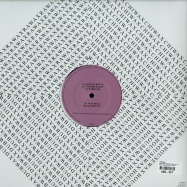 deep house, sometimes with a real sense of urgency that juxtaposes with it is inherent flights of fancy. 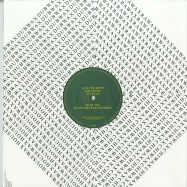 after their much lauded double pack on boe recordings, gaining support right across the board from djs such as ben sims, dj deep and doc martin, to name but a few, nite visions second outing arrives via the meteorically rising chiwax label. 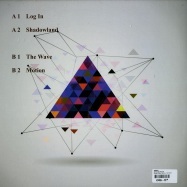 with a slew of releases under their belts, craig stainton (mantra, myriadd, acid phreex) and nigel rogers (perseus traxx, orpheus, sir leon greg) have once again combined their knowledge and love for warm synth tones. rawax is proud to welcome mr. k alexi shelby to the family! 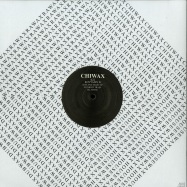 chiwax proudly welcomes ken kojima to the family! 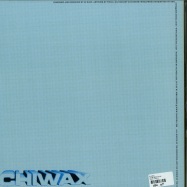 rawax presents chiwax - chicago at its best! 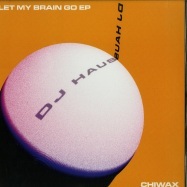 there s only one haus - it s dj haus! we re happy to continue the journey with uttu label boss ! 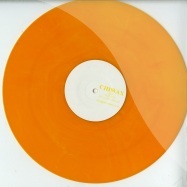 vinyl only - chiwax welcomes chimale to the family - one-shot project by a known artist! chiwax welcomes map & dj haus to the family! 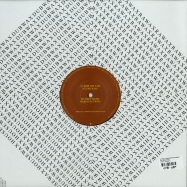 dj haus aka rupert cogan in the head of uttu & hot haus records. he released already on respected clone jack for daze series, crème organization and of course on his won imprints to name a few. 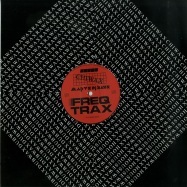 the new 3 tracker made together with map comes around in good dance mania style. chicago house meets uk garage - worth to check! rawax prouldy welcomes rhythm of paradise to the family! 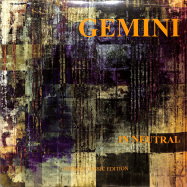 it happened last autumn when our label head robert drewek was traveling to bari to play a gig with his friend nico lahs. he met this very symapthic & crazy guy and felt in love with the music he showed him. 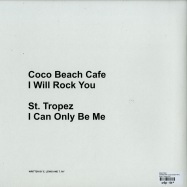 so here s the result - a trip back to the 90 s - enjoy! 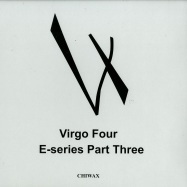 virgo four return on chiwax to present us the fourth part of the e-series! another great release from the chicago masters! rawax prouldy welcomes jc williams to the family! this outstanding release will be the last chiwax this year - we couldn t have a better final record in 2016! rawax is very proud to present the 5th release of the * paul johnson traxx series* on chiwax! 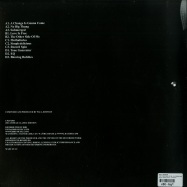 we are celebrating the 20th anniversary of pauls legendary album * second coming*. thy mysterious zagittarius returns on chiwax! 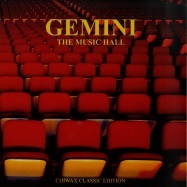 ron delivers again great quality music with his own remarkable sound. this release was born of a cross country trip with an 808 drum machine by thomas ragsdale aka winter son, alongside jozef k, resident of famed manchester and ibiza clubnight sankey, as they join perseus traxx to hammer electricity out of machines. 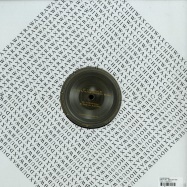 with it&#700,,,s rim shots and claps and other transistor rhythms reverberating across vast distances of space, side a is stripped back and deep from the outset, pushing forward as scattered tones, arpeggiations and disjointed voices leave their trails vanishing from perception. side b tightens up from the previous reverbs and throws acid into the mix, as the two join perseus traxx and the sound becomes more raw and urgent as the three of them jam on their chosen machines. 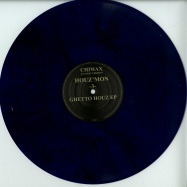 rawax proudly welcomes the godfather of ghetto houz muzik rickey houz mon white to the rawax family! houz mon cousin is the famous lil louis & cei bei what words can describe the one and only houz mon? pioneer? party rocker? ghetto houz icon? lets start at the beginning houz mon grew up on the west side of chicago where he was exposed at an early age to chicago, new york & detroit dance music. 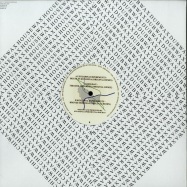 befor houzmon, or rickkiqhouz was born i went by the name slick master rick in 1987 sign my first record deal with dj international records. the name of my trax brothers and sisters house on 13th street! 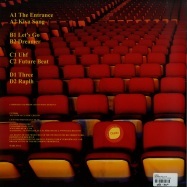 aka halloween house this trax lunched the foundation and planted the seed of ghetto houz. rawax proudly presents ron maney aka dj skull. 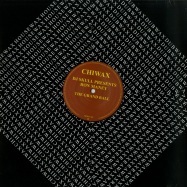 the second release by ron maney on chiwax is the remastered version of former relief records 761 called *2 entities*. 2nd part of sneaky tim s legendary - whats your function - release. 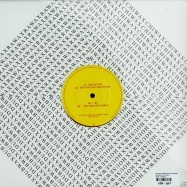 this time including - mental kombat -, - bad connection - and the 2nd remix of - mental kombat - from ricardo villalobos & heiko mso! 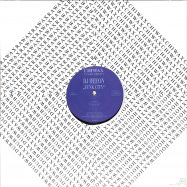 chicago jack classic... originally released on relief records in 1995.
superb chicago house from da master himself... we love it !!! the next chiwax limited release comes as split ep by steve murphy and dj octopus. 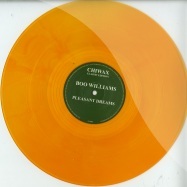 pressing on transparent, orange coloured vinyl. with *imaginary beings*, his first release on chiwax, andy vaz, described by clone as being able to execute one of the best acid house tracks in recent years of hypnotic jacking acid just like armando and jack frost used to make once again comes through with the goods in full swing. 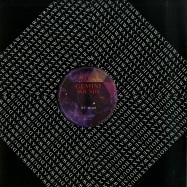 gemini, aka spencer kincy with more fantastic chicago house blaster. for those who knows !! d e c k s tip !! 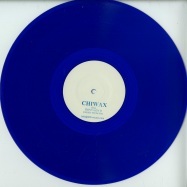 ***former dance mania 10 *** chiwax welcomes the legendary ray barney aka suburban boyz! raymond barney is the man behind dance mania! 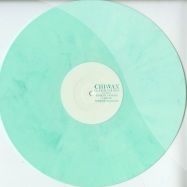 part 3 of the chiwax classic edition comes from the maestro of chicago house music, mr robert armani. 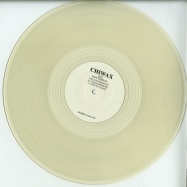 chiwax is proud the welcome andy vaz (yore records) to the family! 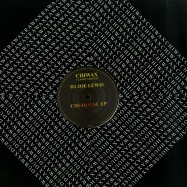 chiwax classic edition welcomes another legend to the family! mr. andrew t. cole aka drew sky, drewsky, phase ii, duece mode, skyman or sneaky tim. togethr with paul johnson co-owner of chicagos pioneer house label called chicago underground and artist on legendary dance mania! 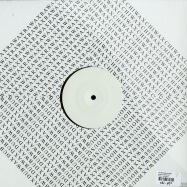 limited handstamped, white coloured vinyl, raw analog chicago house! 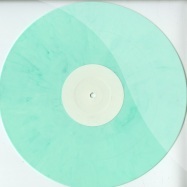 limited handstamped release on coloured vinyl - stay tuned for more infos!